We have also donated duck eggs to Middletown and Tiverton, RI where one was even nominated as the “wonder duck”! We hope to have a “barn cam” up and running soon so if incubating eggs doesn’t work for your organization, you can watch the process over the internet. 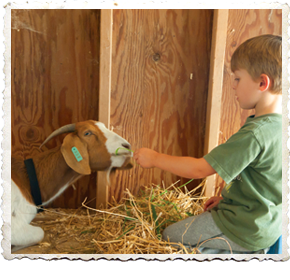 Our farm has a wide variety of animals and would be perfect for a scout or 4H group tour. We have a pig, goats, peacocks, chickens, and ducks. The animals are all located in fenced in areas but are very easily accessible and very friendly. We have a nice sunny spot for a picnic if you should have the time. Hand washing both before and after handling the chicks is very important- for your safety as well as theirs. Chicks need free access to both water and food at all times. We use a non medicated starter/grower feed that they can stay on until they mature or start laying eggs. At that point we switch the a non-medicated egg layer pellet and what they can find in the yard on their own of course. We usually put a vitamin & mineral mix in the water for the first couple weeks. We do not ever use medicated feed and only would medicate if they medically need it. The chicks transition to the coop after hatching and drying off in the incubator. We place shavings on the ground covered by paper towels for the first couple days. The reason for the paper towels is because the shavings can be slippery on the chicks tiny toes which can cause them to have leg problems which cannot be corrected. Another benefit to the paper towels is that the chicks learn to eat the food apart from the shavings which could sometimes be harmful if ingested heavily. We use drop lights with reflector shields and red or white heat bulbs. 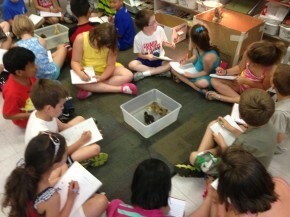 The chicks need to be about 100 degrees right after hatching, and then about 95 degrees for about a week. After the first week, the temp (at floor level) can be decreased by 5 degrees a week until its about 70-75 degrees. When you can shut the light off all together will vary from coop to coop and with the season. Place a thermometer on the floor under the light to gauge the temperature. You can watch the chickens behavior as well. If they are all huddled together tightly under the light, they are cool. If they are in a circle around the outside of the light, too hot. 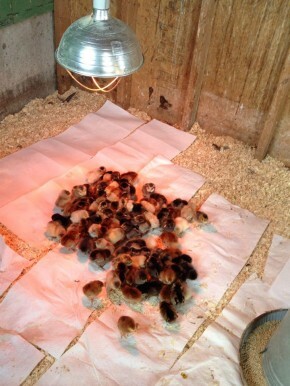 Here the chicks are too cold, so the light needs to be dropped down or another light added. 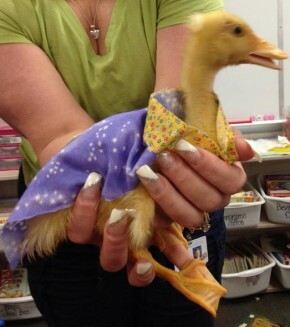 That is the basics on raising new chicks. If you have any questions about the process or this post, please email me. We sell chicks from when they hatch until full grown so if you are looking to start your own flock we would be glad to assist you.